Superhero “Serendipites” writes: Last August 2012 the Superheros descended by bicycle on the Strawbale Studio for several days, doing amazing volunteer work! 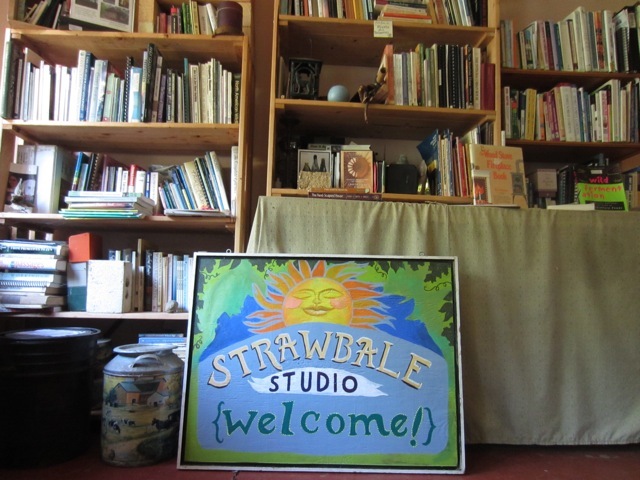 Below is the gang, and the wonderful art work Serendipitees did for the Strawbale Studio. 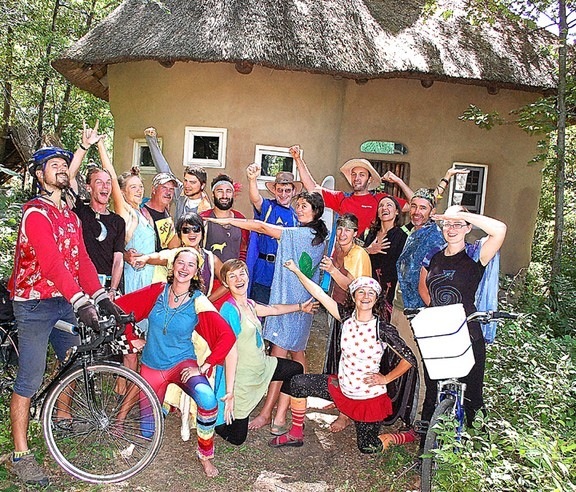 CJ’s photo of us for his article in the Oxford Leader, in front of Strawbale Studio’s mud house! I modeled the sun in the sign after Joyful Weaver’s amazing sun-oven. Learn more about the Superheros.